 UKDN Waterflow > News > Flooding – how well protected are we? Flooding – how well protected are we? Large parts of the UK have once again been hit by widespread flooding, and our hearts go out to all of those affected. The scale of these floods, the relatively short period since the most recent severe flooding event in 2007 and the expectation of increasingly regular bouts of bad weather have once again prompted questions about how we manage flooding as a country. Have we invested enough in installing and maintaining flood defence measures? How do we provide affordable insurance to owners of properties in areas at risk of flooding? The events also raise questions from a drainage perspective. Of course, where the problem is on a larger scale – a river bursting its banks or groundwater levels rising, for example – drainage is likely to be overwhelmed no matter how well designed or maintained the system. Where it is crucial, however, is in urban areas where the prevalence of surfaces covered in less penetrable materials like tarmac and concrete mean that the only way for water to dissipate following heavy rainfall is running off the surface and into the drains. Even minor blockages which may not cause any issues when conditions are normal can limit the drains’ ability to cope when volumes increase, potentially resulting in sewer flooding. The predominance of combined drains in built-up areas adds to the issue, as the flood water can contain raw sewage. Neglecting to tackle potential issues as and when they are identified will inevitably result in overwhelming volumes of emergency unblocking work when the rain starts to fall, as we have seen in recent days. The fact that, according to research, around 50 per cent of domestic flooding claims result from water backing up from sewers and escaping into properties via toilets and plug holes gives you an idea of how serious this issue is. While individuals can protect their properties from flooding as a result of back-filling drains quickly and easily by installing a non-return valve to their main waste pipe, the only real solution is better maintenance of the sewerage system externally. Responsibility for large-scale drainage maintenance lies largely with the 10 Water and Sewerage Companies (WaSCs) across England and Wales, and the level of proactivity in their maintenance approaches presents a mixed picture. Some take a largely reactive approach while others are investing more in addressing the cause and not just the symptom of issues. For insurers, the variation in the attitudes the different WaSCs are taking towards repairing drains should be taken into account in risk management and modelling. Drainage companies on the ground are a rich source of data in terms of the likelihood of issues and the potential for damage and insurers will be wise to take advantage of this. Admittedly, the WaSCs are not in an easy position – they are working within tight budgetary regulations from Ofwat, and 12 months ago they had 200,000km of additional drainage transferred into their management. However, it is vital to fix the roof when the sun shines if we are to effectively minimise the damage and disruption from localised sewer flooding. The arguments for investment are clear, and the ball is in the court of the government and the WaSCs to work out how it will be sourced.